I was sent this product for my own review. All opinion and photos are my mine. When we found out we were pregnant back in August, Zach and I thought we had everything we already needed for our baby number two. Despite it being a different gender, we had the necessities like bottles, wipes, diapers, changing pads, a diaper bag..etc. 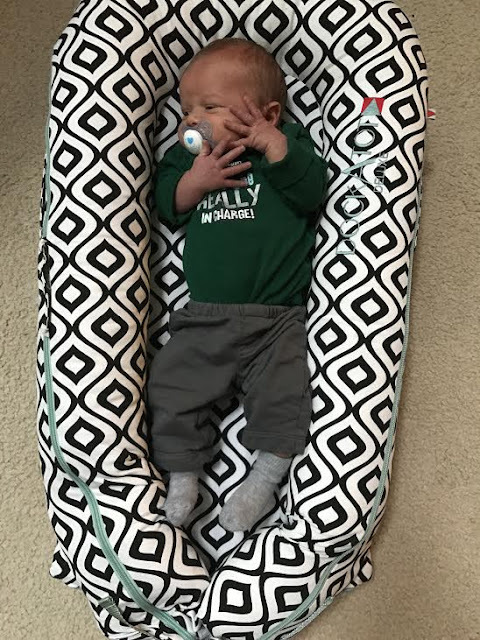 What I didn't realize that in the last three years of having Lily, there are SO many awesome items out there for your newborn! One of my favorite items that I came across ( and one you def need ! ) is Dock- A - Tot. So what in the world is that? Exactly how it sounds- its a place for you to dock your tot. It's a multi-functional lounging, chilling, resting and snuggling dock for your baby or toddler from 0-36 months. 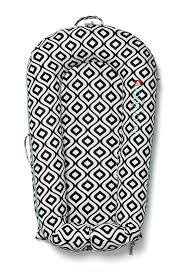 The plush sides help to keep your child from rolling around and falling off the best. I love that there are end buckles for extra length. All the material used to make them are all micromanaged to make sure that they are of the highest quality of breath ability, non-toxicity, comfort and convenience. Because we'll be traveling back to Chicago in a few weeks, I wanted something easy to carry along with us for our little man and this was exactly it! I love that because of it's cocoon design, your little one feels as if they are safe and snuggly in your arms. Plus, the plush sides help from keeping your little one from rolling around! Did I mention it's machine washable too? Phew! This Mama loves that for spit ups ( gah ! ). I ordered mine in a Delux which means its for 0-8 months old. 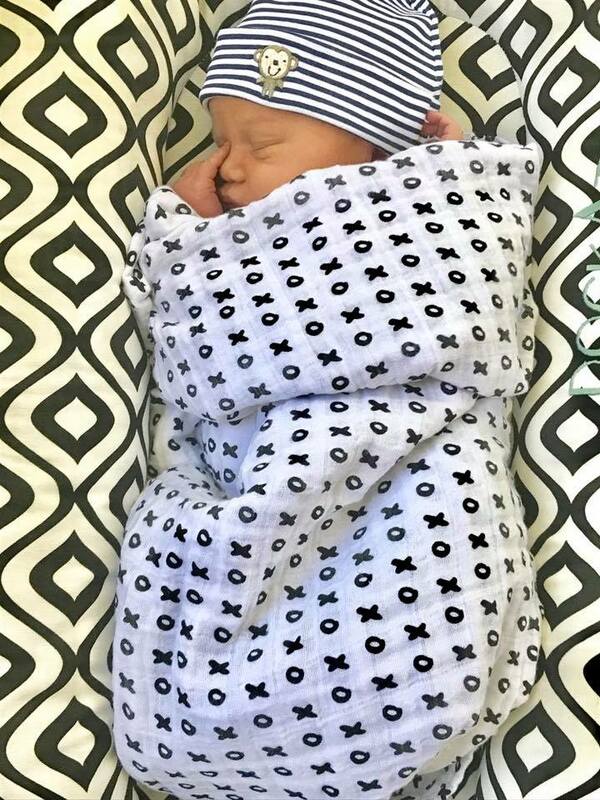 It's perfect for tummy time, naps, sleeping and diaper changes! There is another size ( the Grand ) for older children like my toddler but because she's already in a big girl bed and sleeps pretty well, we opted for our little prince to have all the goods ;). For those looking for safe, secure and easy travel, the Dock-A-Tot is for you! Even for your toddlers who are starting to take naps, this leaves you with some peace of mind as it fits in most cribs, toddler beds or even strollers ( depending on the size that you get ).